Reduce stress & detoxify your body. You may feel you’ve reached the pinnacle upon entering SALT & Spa we cater to individuals, brides, couples and groups with an array of services, add-on, specials and packages. We carefully customize the right massage for you at an affordable cost. Experience mind, body & spiritual peace. The time is now to book an appointment at SALT & Spa. Relax in the calm and soothing surroundings of our luxury salt room, designed to cleanse and restore through the exposure to all natural salt air. 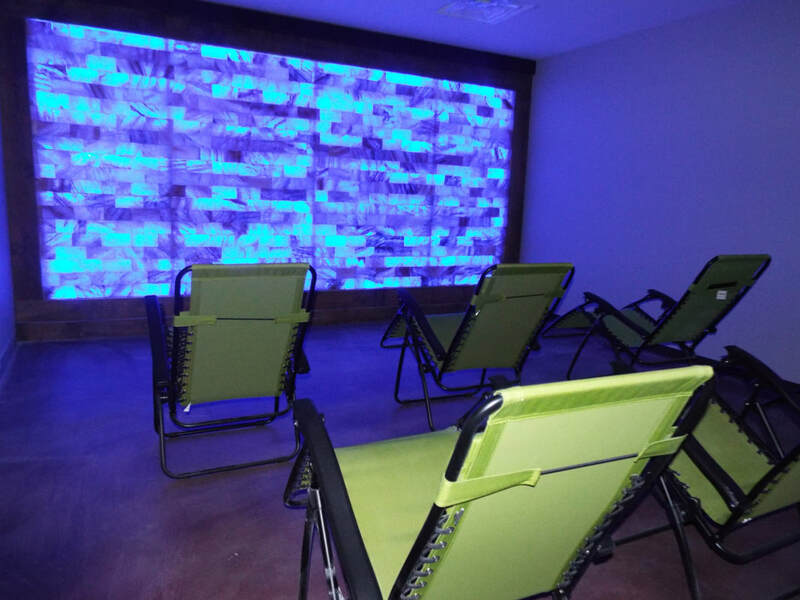 Our adult salt room offers an entire wall of back lit Himalayan salt bricks, along with soothing music and mood lighting. This creates the perfect environment for relaxation, meditation & yoga. Space is Limited to 8 attendees, so please contact us or book your appointment online. Cost is $20.00 first time or $40.00 for the second time, if you have salt therapy packages or membership salt yoga is include it. One hour Swedish Massage per month ONLY $60.00! ​Let Us Help You Today! A Salt Room has arrived to Omaha. A remarkable and relaxing experience in a unique setting! to help an athlete achieve their maximum potential. Children and adults alike can enjoy Salt therapy. ​Salt and Spa has a separate Salt room just for kids. Himalayan salt lines the floor, and they can play with it as they would with sand at the beach. Additionally, toys are available for their enjoyment. Give to your loved ones the best gift that they deserve! The company has neither applied for or obtained approval by the Food and Drug Administration or any other consumer protection group.